A new executive committee of the All Progressives Congress (APC) in Kwara has been inaugurated. 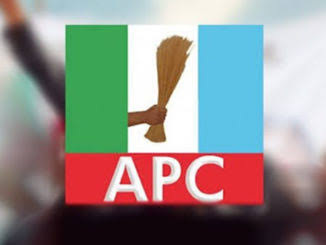 Speaking during the inauguration of the party executives in Ilorin on Saturday, the state chairman of the APC, Alhaji Bolarinwa Bashir, urged members of the party not to be intimidated by the ruling party or give room for despair. Bashir, who counselled new executives and members of APC in the state to be united and committed to the development of the state, also reminded the executive members that their assignment was a call to serve. He said that the leadership of the party adopted consensus option to pick the newly sworn in exco after the former executives were dissolved by the National Working Committee NWC of the party. “We adopted consensus to cement our bond, in our efforts to take off almost immediately, so as to confront the hydra-headed problem confronting our dear state,” he submitted. “We have come a long way in the journey to liberalise the political space in our dear state. We have walked different roads and have sacrificed a lot. “The fact that the journey has not ended, is the reason we must continue to push forward. The ongoing membership drive is also receiving your blessings. We can never quantify your sacrifices in this building process. “At this juncture, let me remind you that, this assignment committed into our hands as executives of the party at various levels is essentially a call to serve and therefore, we must give it our all. “This assignment cannot be achieved individually- we must work like ants in a colony, in a particular colony there is division of labour. Each member of the colony carries out a definite task and it is done to the benefit of all” he said. The chairman also admonished all to work assiduously for the benefit of all to achieve a collective aim. “When each of us contributes a block to this building process we will eventually have an enduring house to accommodate all, thereby providing shelter for all of us. “Let us remain focused and be committed to the goal of providing a new and purposeful leadership for the people of the state,” Hon Bolarinwa reiterated.